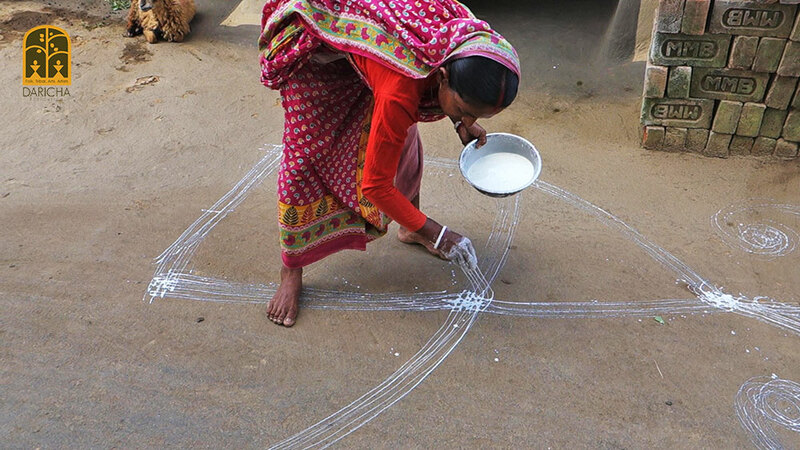 Chauk pura are the ritual floor paintings made by Kurmi (Mahato) women during their Bandna festival. Bandna is celebrated as a thanksgiving for the community`s cattle that have worked hard all year to ensure a good harvest. The Santals call this festival Sohrai and in fact where Santals and Kurmi Mahatos live in close proximity, the Santals too refer to it as Bandna. Both communities worship their cattle and their deities to ensure the fertility of the land during this festival. 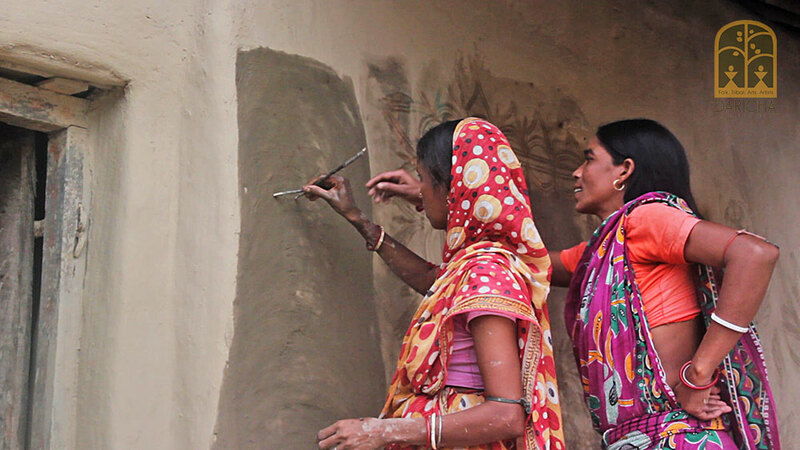 The Kurmis/Kurmi Mahatos are a major ethnic community in Purulia and in other parts of eastern India. They are regarded as members of Other Backward Castes since 1994, but were originally members of the larger Kherwar group to which the Santals also belong. They were descheduled as tribals in 1931. Unlike the Santals who celebrate Sohrai over five days of their choosing either in October or January, the Kurmis have fixed days for the festival, starting on the night of Kali Puja. Celebrated over five days, they thoroughly clean their houses and agricultural implements, and purify their courtyards with cowdung solution. 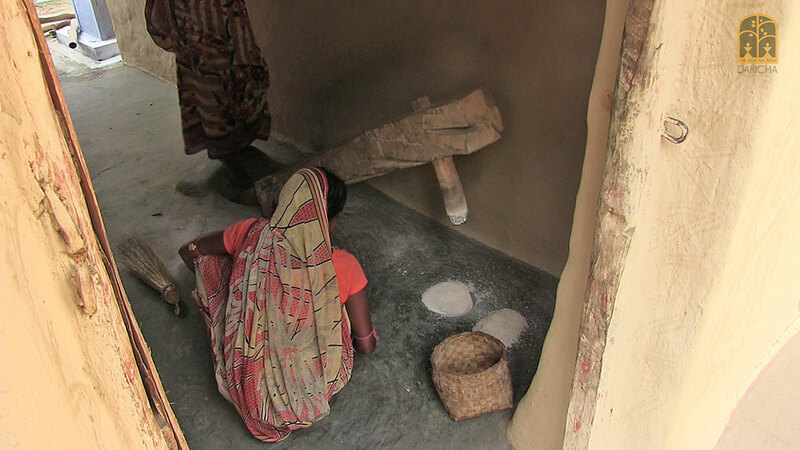 They then decorate their walls with rice flour (guri) solution. They also ceremoniously bathe the hooves of their cattle, anoint their horns with oil and vermilion, tie woven straw ornaments (morol) around their horns and worship them in their traditional way. Special fodder is laid in the cowsheds and a lamp is kept burning through the night. 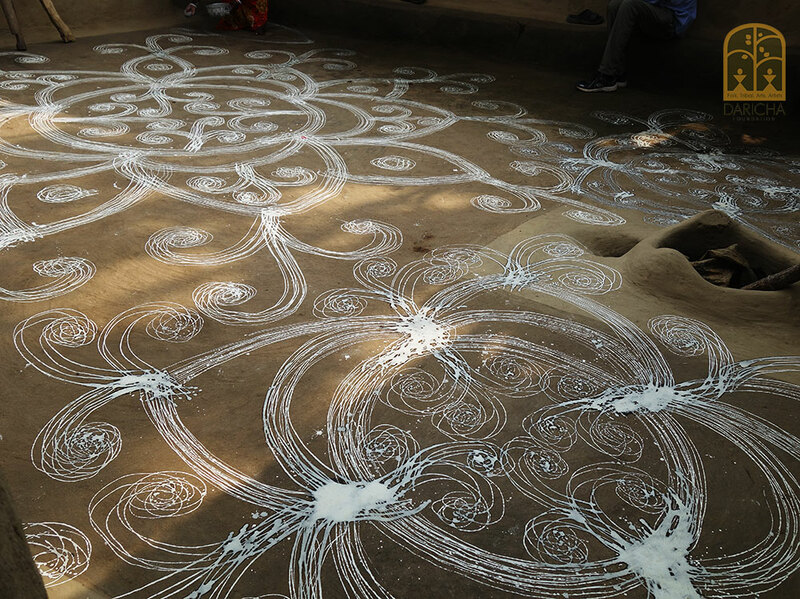 The women paint traditional floor paintings on the fourth day of the festival. In the Kurmali language, this is known as Chauk pura, meaning alpona, the term familiar to Bengalis. The women`s creativity and aesthetic senses are reflected in these exquisite, flowing diagrams they execute with such skill. 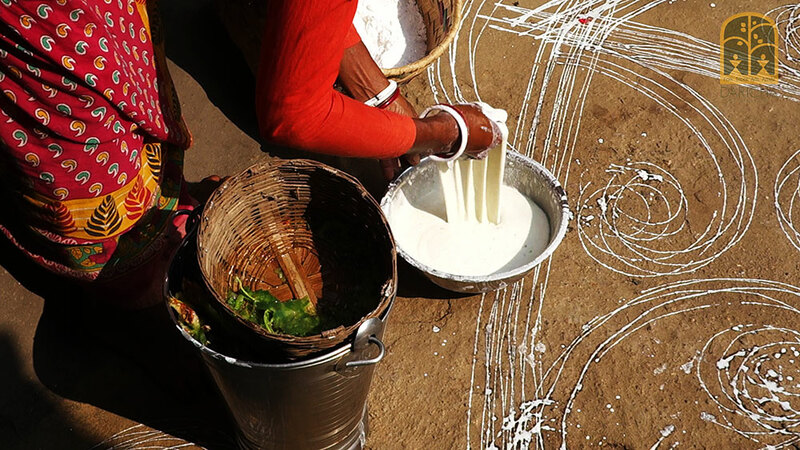 The diagrams are made with a sticky solution of rice powder (guri) pounded in a dhenki (traditional wooden rice husking implement), water and sap extracted from local cacti or the leaf of the Gamar tree (Gmelina arborea). The leaves are bruised, soaked in water and the gelatinous solution strained through a cane basket and added to the rice powder solution. After achieving the desired consistency (not too runny or too thick), they cover the entire courtyard, starting from their tulsi mancho (earthen altar with a basil plant), right up to the entrance to their homes, with the most remarkable motifs. The patterns are executed in a very interesting way and the thickness of the solution is a key element. The woman dips her hand into the solution, and allows it to dribble down her fingers held about 6 inches above the ground, pointing downwards. Thus positioned, the hand is moved effortlessly in a fluid manner, creating thin parallel streams of the desired pattern. The viscosity of the liquid prevents splashing. The floral designs are similar in each household, with slight individualistic variations. The core of the pattern may be a circular diagram extended with cuspates and curved lines or it may be a square with triangles attached to each side, which are further extended by curved lines.  Vermillion dots are applied on each intersection. These symbolize fertility. Agricultural implements placed near the tulsi mancho are also marked ritually.